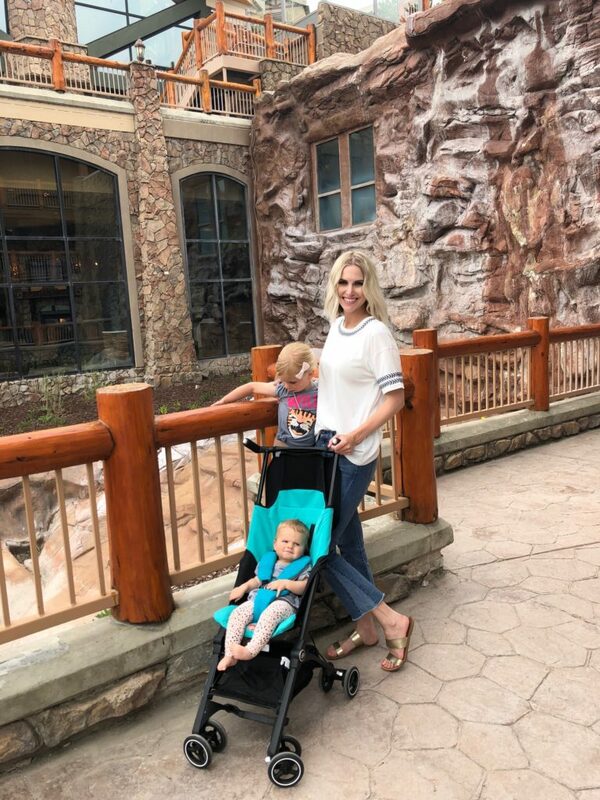 I am so excited to tell you about a fun trip we took last month…as a family! It was so much fun to be able to head south to some *slightly* warmer weather and spend time together as a family. I love St. George, we have gone there a few times and always want to go back! It is only about a 4 hour drive from us, so it really is the perfect getaway spot for us. This trip we decided to stay at the My Place Hotel, St. George location. We loved the room sizes, the pool (which is heated! ), and the location of it. They have an affordable breakfast option that gets delivered to your room, which was a big deciding factor as well! The girls loved the pool so much, it has a cute little palm tree fountain and some other water things that they really enjoyed. It has a great, large outdoor area that is perfect for just hanging out or having dinner. Hi! Long time no talk…oops! 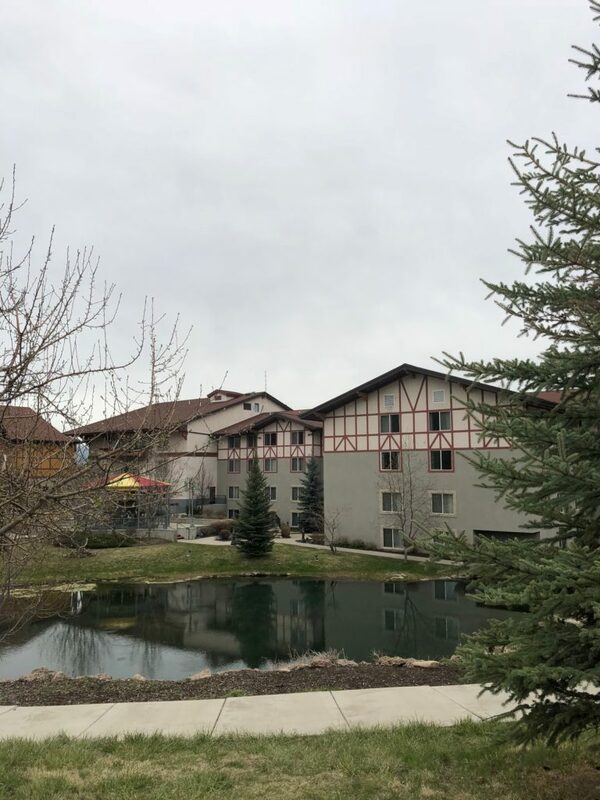 I wanted to share a fun staycation we recently had at the Little America Hotel in Salt Lake City. It was the perfect getaway, very family friendly, and such a beautiful hotel. We wanted to get away with the girls, somewhere close, and somewhere that would be comfortable for us as a family. I saw that the Little America Hotel had this Getaway Package, and knew that it would be perfect for us! Our room had two queen beds, and was on the 17th floor. Look at that view from our balcony! The main level/lobby area of the hotel is beautiful. It has a historic feel, and there are so many rich, warm colors. Saylor particularly loved the oversized chandelier and fire. We were welcome with a nice fruit platter and a fun gift bag! Saylor loved that small gesture and felt very special that she had some “gifts” waiting in our room for her. We especially loved the brunch buffet at the Lucky H Bar & Grille, and had a yummy dinner from the Coffee Shop that was equally as delicious. Don’t mind Saylor’s crazy wig, it is Halloween season, after all. Remi is teething so she wasn’t much fun, to be honest haha! She spent most of her time in the hotel room (which thankfully was plenty big), and running the halls to try and burn off energy. Saylor loved the grand staircase and touches of Halloween (see floral arrangement), and the big bathtub! The Little America Hotel was the perfect staycation for my little family, and I see us returning in the future! If you are traveling to Utah, definitely give them a stay. Summer is in full swing around here and that means I’m worried about sun protection. Skin cancer hits close to home in our family, so that has made me more aware of how I protect my family against the sun. I have learned the hard way, that just because you don’t “think” the sun is out enough, or you aren’t getting burnt…BETTER SAFE THAN SORRY! Enter: SwimZip. I love all things matching, especially when I can participate! I love that the girls’ tops have zippers and can be taken off and put back on so easily. This palm print is the cutest ever, too. You can shop the women’s collection HERE and the girl’s collection HERE. Like I mentioned, they have anything for the family. Rash guards, hats, suits, even sunglasses and towels. I am hosting a giveaway on my Instagram for the next few days, for a $50 credit, you can enter HERE. Please, let’s protect our skin and especially our little’s! Make sure you check out all that SwimZip offers. Another weekend, another quick trip! This time…Park City. I had never stayed the night there before, so I was excited to do that. Troy works so much, that whenever he decides to randomly take a Saturday off, we like to get out of town and really enjoy our time together as a family. We all love those times together, and Saylor especially loves the times when her Dad plays with her in ways that I won’t, haha. We found a room at the Westgate Resort on VRBO. Troy booked it but I think it was slightly cheaper than going through the actual resort. This resort is tucked up against the mountain, at the base of the Canyons Village. I don’t ski or snowboard so none of that means anything to me, but the resort is surrounded by runs and lifts. There are so many restaurants and shops within a 5 minute drive. Main St. is also very close! The resort itself is pretty big, and sort of confusing, haha. The parking is underground and some is under construction, so it was slightly confusing trying to figure out where to park and what tower we were staying in. All the towers don’t connect either. The amenities were awesome, the resort has a great pool and outside area. We lost $20 from the arcade…and not even from playing. We bought a card to play, went to play, and the place was shut down and not working. Westgate couldn’t refund us, so we are currently still out $20 until the people who run the arcade get back to us. So that is annoying, but oh well. Again, I love that we live so close to so many fun and beautiful things! Right now (meaning May), Park City is SO GORGEOUS. Everything is turning green and blooming, and it is just unreal. As Remi gets older and easier to venture out with, I can’t wait to explore the great outdoors. If you have been to PC, what are your favorite things to do there? Let me know! As most of you know, Carter’s is a top mom’s go-to brands. You are guaranteed to find something for your child, and at an awesome price. Recently I was introduced to their Little Baby Basic collection, which I had to grab a few things for Remi from! 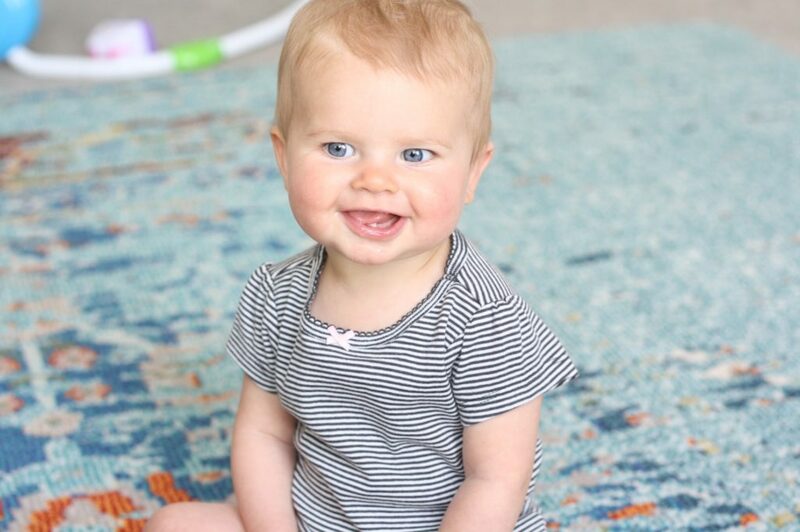 This line is filled with cute, comfortable pieces perfect for babies from preemie to 24 months. I’ve always love Carter’s onesies, I personally think they fit the best out of any others. They are not as wide as others, and longer, therefore they can be worn for a longer period of time! Which is great. Another thing I always, always get from Carter’s is their sleepers. I love them so much. They come in cute designs, and I love that a lot of pieces you can just keep on them all day long and still look fairly put together, haha, because #momlife. Sometimes you just wear jammies all day, and sometimes that is more often than not! How cute is that bum design!? I love that. Carter’s new line comes in boy and girl, as well as gender neutral, which is such a great option for those who don’t know the gender of their baby, who don’t like super gender specific things! They now have a great sale going on, where you can get 20% off $40+ through June 30th with code CART4342 online, or 066944 in stores. You can also find a Carter’s store near you using THIS. I am pretty sentimental when it comes to my kiddos, and there is something special about the clothes they wear while hitting milestones. Coming home from the hospital, crawling, sitting up, sleeping through the night for the first time…you can find a piece of clothing for all these wonderful stages of life from Carter’s. Remi is just crawling all over the place and getting into everything. I can not believe that she will be 1 soon. She is so tiny, so it makes her seem like she is still about 8 months old, haha. This cute outfit above, comes in a set with a tee and a bubble romper. It is pretty much 2 outfits in one, which I love! Be sure you check on Carter’s latest line, the Little Baby Basics collection. You are sure to find something for someone in your life! Let me know your favorite pieces from there. They totally make great baby shower gifts, too! The Zermatt Resort is designed like a traditional Swiss-style, actually a lot of Midway is. I don’t know anything about Midway, but it is such a cute little town. It is close to Park City, and sits in the most beautiful valley. There is a popular crater there too, that you can go swimming and diving in. It is naturally warm and I hear it is awesome. The resort is the perfect size. It isn’t too big, but not that small. The grounds are beautiful, and there are some really delicious restaurants. They have some animals, a few ponds, and a carousel that is FREE! Saylor loved that. They also have a spa that I hear is incredible. It is only about 45 minutes from where we live. It is the perfect little getaway for our family. I should add that this isn’t sponsored at all, but I wish it was! Haha, we just truly love this little gem! It is very affordable, too. If you ever come to Salt Lake City or are local to Utah, do yourself and your family and visit Zermatt Resort! If I remember correctly, I have talked about the company Bookroo before. When Saylor was younger, I had gotten the Board Book Box which comes with 3 books. They were perfect for her when she was little, when she enjoyed looking at the bright colors and pictures. Now that she is older and starting to read a little bit, I wanted to get her some books geared towards older kids. Each month Saylor gets a cute package of 2 wrapped books. And I mean literally, wrapped! She loves it so much because she feels like she is really getting something special. I love that their company takes the time to make things special for the kids. It also comes with a little card, telling a bit about the books of the month. 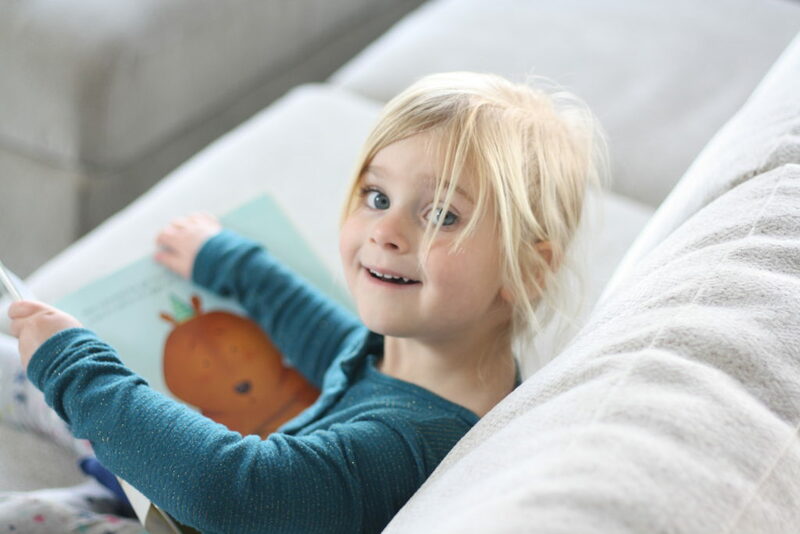 The gift of books and reading never goes out of style…you literally can not go wrong by giving a kid books! Bookroo is so convenient, being a subscription based company you don’t ever have to think about it after you initial order. Love that. You can order once, or buy multiple months in advance to save even more. I also like that they carry books that I would have never gotten for my girls otherwise. We love reading together and I know we will be reading together for years to come. I was recently introduced to the coolest toy and had to share with you. The company is Shapemags, and they make magnetic tiles in different shapes and colors. These toys allow creativity while making learning fun. I also love that it is something any age can play with and learn something…whether it is colors and shapes, or using their imagination more to see what they can build! Our set of Shapemags came in a nice box, all organized and ready to play with. Saylor started playing with them immediately, and we currently have 3 different piles of her projects around the house. I had no idea she would be so into building things! Her set also came with a set of stilemags, which connect to the face of the tiles and are so fun! They come in numbers and letters, as well as images to use while building your creations! This set of Shapemags that we have comes with a stabilizer building board type thing, which is a 12×12 plastic board with magnets for the pieces to attach to. It allows you to move your masterpiece around on different building surfaces and makes building things up high, easier. It says that you can build twice as high with the board, so that is really cool! I thought I should add that Shapemags are completely safe for any ages. They have taken extra precautions to ensure that our children are protected. this set is the perfect starter set if you don’t know where to start and don’t want too many pieces! These sets are the perfect gift for any kid! Do you think yours would like them? Let me know what you think! We were so overdue for some new family photos, so we recently went to Camera Shy Photography in Lehi. If you live in Utah, you are probably familiar with them, as they have many locations. I had heard good things about them, and was excited to give them a try! Remi is finally sitting unassisted, and we can get her to smile (sometimes), so I thought now would be a good time to get some family pictures taken! Saylor is 4.5 and as sassy as ever. Literally. She has SO much personality and I don’t know where she gets it. Okay, actually I do. Her dad, LOL. She is so funny and she keeps us laughing all day long. 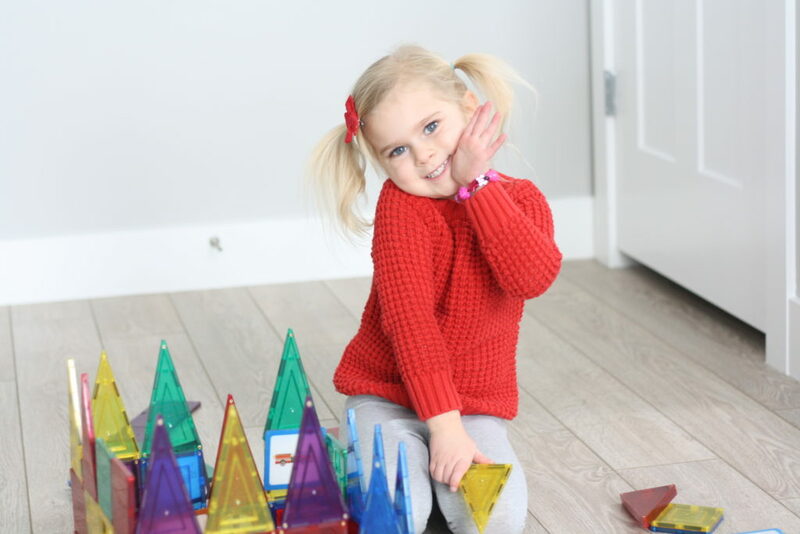 She is learning so much in preschool this year…she is starting to read and it is so much fun watching her learn. She is a great big sister and helps me a lot with Remi. She loves “egg mcmuffins”, yogurt, and basically any treats. She is still tiny for her age somehow, but I like her that way. She says that she wants to be a princess when she grows up, actually the tooth fairy, and her favorite thing to do is play with her friends and go to the park. She has a terrible habit of picking her fingernails, and is very particular about her hair, and loves wearing bright pink eyeshadow. Remi is 9 months old and I thought she turned into the dream baby I have been wishing for the other night when she slept from 9pm-4am, but I was mistaken. Ha. Must have been a fluke and that only lasted one night. She is the most high maintenance baby ever, and a total mommy’s girl. She is cutting her second tooth and army crawling all over the place. She has become so much more vocal the last few weeks, and it is cute to have her “talk” to us. She is still a tiny little thing too, I’m guessing she weighs around 15 pounds. (note to self, make her 9 month appointment) She is getting the most delicious chubby cheeks, loves when we dance with her, and loves pulling on eyelashes. Troy is…jk I won’t update you on his age and what his current favorite are. He is just as busy as ever with work, and trying to keep us all happy. I’m trying to remain sane while having a husband that works all the time and a baby who doesn’t sleep. Life is crazy and busy, but we are so happy and our days are filled with so much love. I know these days are fleeting, so I try really hard to appreciate the long days while they are here. I loved how they had different backgrounds that we could use, and the photographer was so great with Saylor and Remi. My romper is from this cute shop Liesel Renae, and if you use code Robyn15 you can get 15% off anything. And I know I will get asked, Saylor’s sweater is fro Target and it is AMAZING!! Does anyone have any family photo tricks or tips they’d like to share? Let me know!